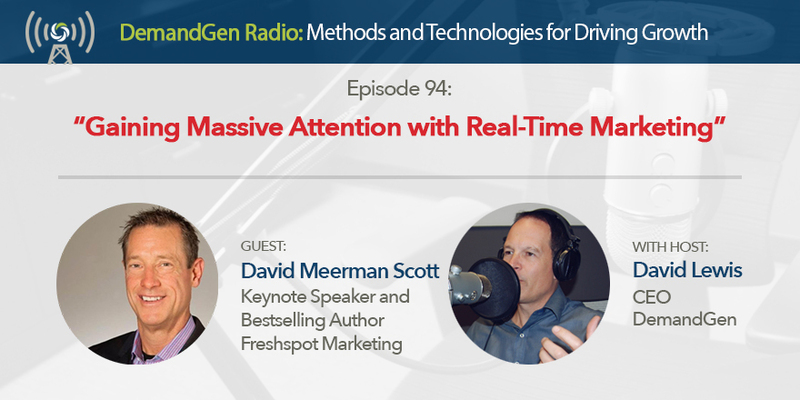 David Meerman Scott has written numerous books on the topic of newsjacking and real-time marketing. Listen as he shares how you can make your content highly effective by placing in front of the right people at the right time. In this episode, David goes into detail on how to generate content that will get attention, how to successfully publish and promote that content, and shares how former Eloqua CEO Joe Payne used newsjacking to add over $16 million in value to his company.